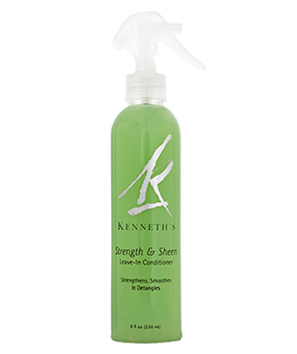 Strength and Sheen is a revolutionary leave-in conditioner that increases flexibility to decrease damage during styling. Great with flat irons, creates shine without weight. Also detangles while it strengthens and smoothes.